This is a fantastic opportunity to compete in the first Derbyshire Triple Hill Challenge. All 3 well-established races have their own special character and challenges and all offer fabulous views and enjoyment. 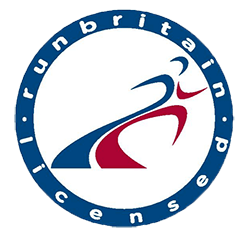 Now in its 9th year, set in stunning Derbyshire countryside along quiet country lanes, the 10k course starts and finishes in the picturesque village of Holymoorside. Friendly marshals from the 1stHolymoorside Scout Group will cheer you on up the 4k hill. The course then undulates across the moors before a fast descent back to the finish in the village. The event also has a popular 2k Fun Run within the lovely village playing fields. For entry details please visit www.holymoorside10k.co.uk. Now approximately in its 20th year, the event also has a Fun Run in the park. The course has long hilly sections, but once you get to the top, there are breathtaking views over 5 to 6 counties. The course then makes a long descent back to Holmebrook Valley Country Park. All the way runners are cheered along by enthusiastic members of North Derbyshire Running Club. For entry details please visit www.northderbyshirerc.jimdo.com or Facebook. Entries will open early April. This iconic race is now in its 34th year. It’s an undulating run up to the historic Hardwick Hall, where you turn around, enjoy the stunning scenery and plunge back down the hill to a rapturous welcome in Pilsley village. The race has sold out quickly since its recent rebirth. For entry details, open on 2nd April, please visit www.Hardwickrun.co.uk or Facebook. 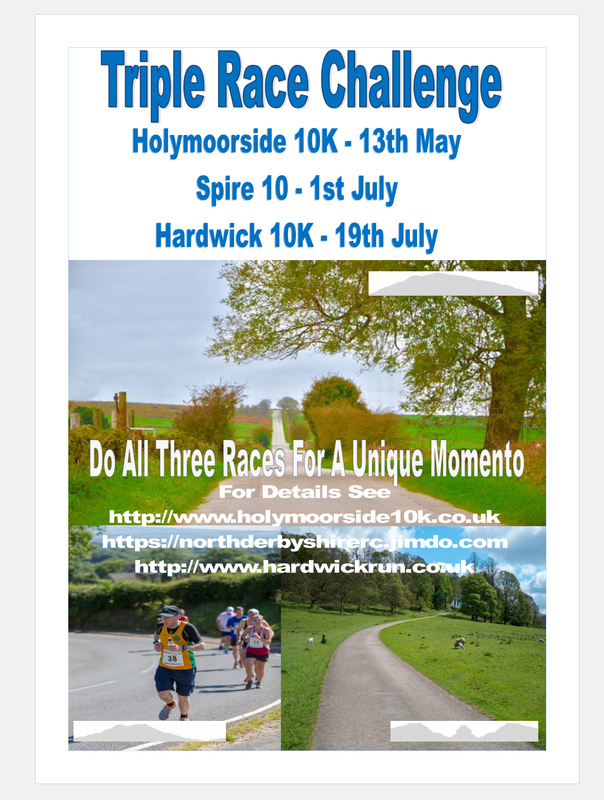 Each race provides its own memento and we aim to present at the Hardwick 10k the free Triple Hill Challenge memento to each runner who completes all 3 races. Prizes will be awarded to the first female and male calculated by race positions in all 3 races.